We continue the narrative on the Eastern frontier as Lazica and Iberia try to form an alliance with Byzantium and leave the Persian orbit. King Kavad responds by trying to get Justin to adopt his favourite son. In the West Theodoric dies and his daughter and grandson begin their struggle to stay in power. 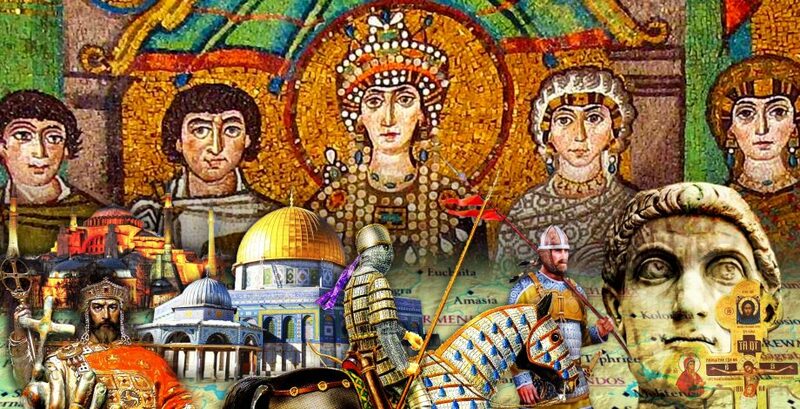 Then we head back to Constantinople to see Justinian fall in love with a former prostitute Theodora. We follow her life story from stage to palace and learn about her influence on the new regime. Map: This map shows the north eastern corner of the Byzantine-Persian border. You can see the Kingdom of Lazica clearly but the Caucus mountains to the north, Iberia to the East and Armenia to the south are all important to note. You can also see the mountain-dwelling Tzani just inside Byzantine territory. You can see a larger version of the map here.